VfL Wolfsburg playmaker Julian Draxler is in contention to face Borussia Dortmund on Saturday afternoon following injury. The 22-year-old, who missed last week’s 2-0 win over PFC CSKA Moskva in the UEFA Champions League with a minor thigh complaint, returned to training on Wednesday. "There are no question marks over Julian any more," explained Wolfsburg head coach Dieter Hecking. "He should be good to go on Saturday." It would be Draxler’s first appearance in the Bundesliga since serving a two-match ban following his red card in the 2-0 defeat to 1.FSV Mainz 05 on Matchday 12. 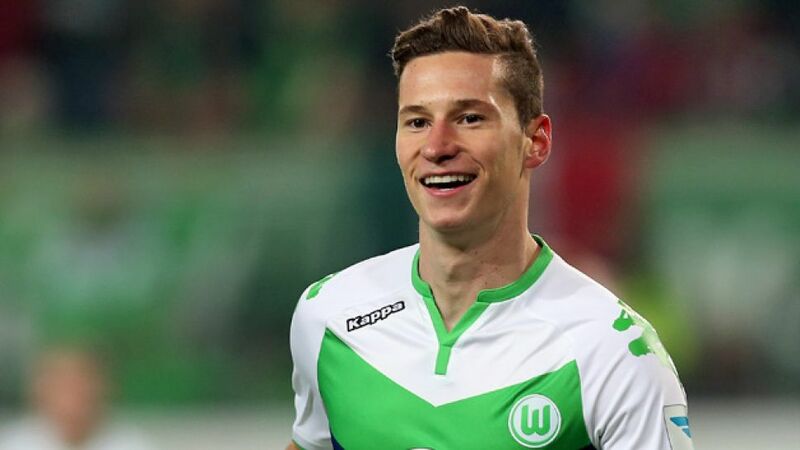 Click here for our mini site dedicated to Julian Draxler. Wolfsburg midfielder Luiz Gustavo was also back out on the Wolfsburg training ground earlier today, after recovering from a back problem sustained in the 6-0 drubbing of SV Werder Bremen on Matchday 13. Hecking, however, was unable to say for certain whether or not the Brazil international will feature at the weekend: "I’m still a bit wary." The Wolves, who are looking to close the gap on second-placed Dortmund to four points with victory on Matchday 15, are unbeaten in their last 29 Bundesliga matches at the Volkswagen Arena. Get the lowdown on Wolfsburg vs Dortmund here.